Jaap van Zweden conducts the Bruckner Eighth. Conductor Jaap van Zweden shows off the latest in controversial baton grips. Photo by Chris Lee © 2017 for the New York Philharmonic. When a new music director takes the helm of a major symphony orchestra, there are certain works that will be tests of his mettle and ability. These works provide the scribes that scribble accounts of their performances some clues as to how the multi-year multi-million dollar relationship between maestro and ensemble will play out. 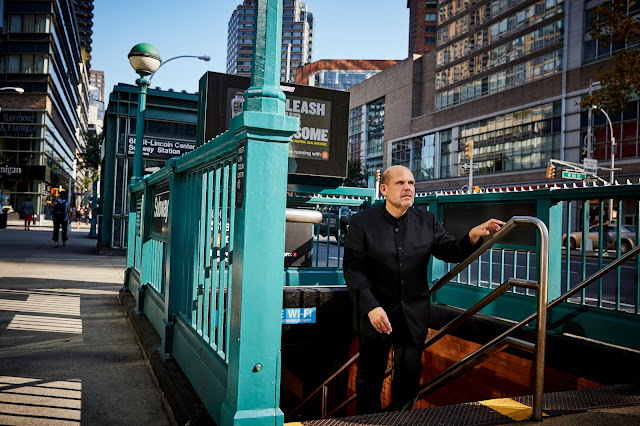 New York's critics got some useful information on that front this week, as Jaap van Zweden led the New York Philharmonic in Anton Bruckner's Symphony No. 8 in C minor. This is a big one: a ninety-minute work that stands as that Austrian composer's final completed composition. 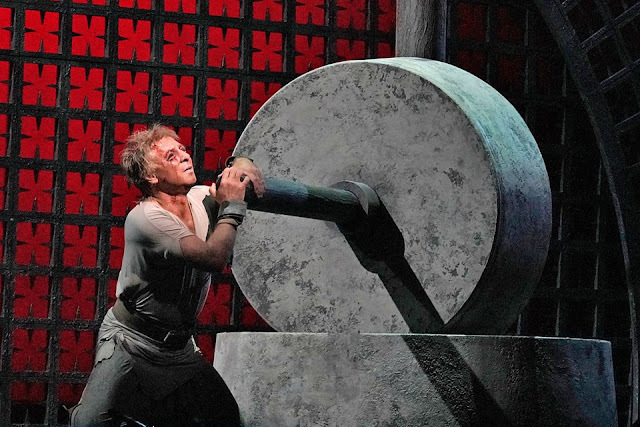 In his ninth opera, Strauss shows how to not murder your wife...even if she's Helen of Troy. the Metropolitan Opera's 2007 production of Strauss' Die Ägyptische Helena. It's not always better down where it's wetter. Like Hollywood directors who ran into trouble when they decided the make motion pictures that take place underwater, a soggy fate awaited Die Ägyptische Helena ("The Egyptian Helen"), the sixth and penultimate collaboration between Richard Strauss and librettist Hugo von Hofmannsthal. Like its mythological protagonist Helen of Troy, this opera is still remembered today as a girl with a bad reputation. It is the only Strauss-Hofmannsthal collaboration to not have a place in the standard repertory. The venerable Carnegie Hall has a different flavor this season. 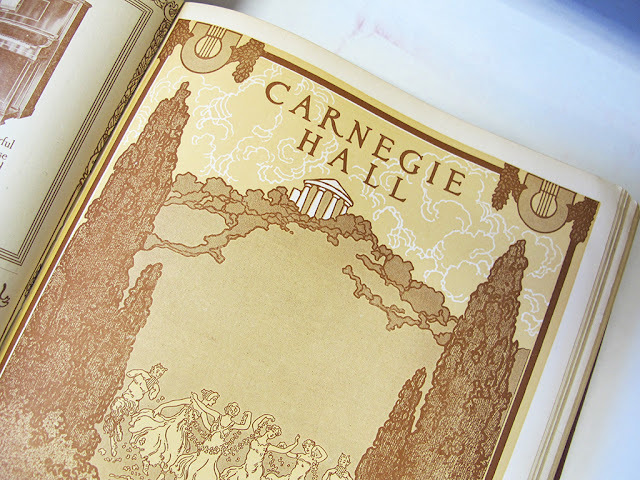 The muses dance in an early program book for Carnegie Hall. Image from the Carnegie Hall Archives. The announcement of Carnegie Hall's mammoth season schedule is always an occasion for celebration. This year's press conference, held upstairs in the Resnick Education Wing introduced an unorthodox slate for next year. The new schedule has programming from familiar orchestras and ensembles but one gets the sense that, like '16-'17, that this is an experimental season trying to push the venue in some bold new directions. Superconductor grapples with the nature of genius and the legacy of Austria's greatest export. 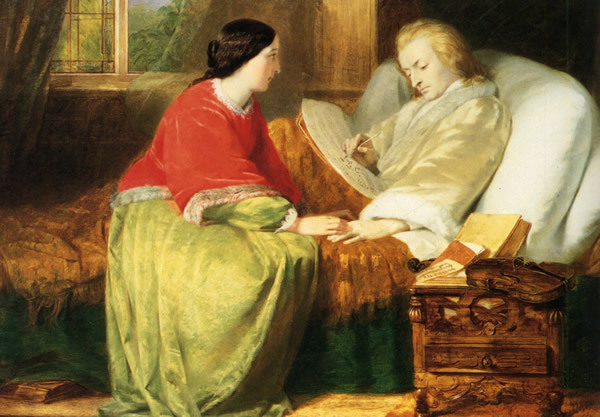 Mozart Writing the Requiem, Paitted in 1854 by William James Grant. Property of the Royal College of Music, London. What’s so great about Mozart? Verdi's great tragedy returns for another round at the Vegas tables. The next whiskey bar: George Gagnifze knocks one back as Rigoletto. Photo by Richard Termine © 2018 The Metropolitan Opera. 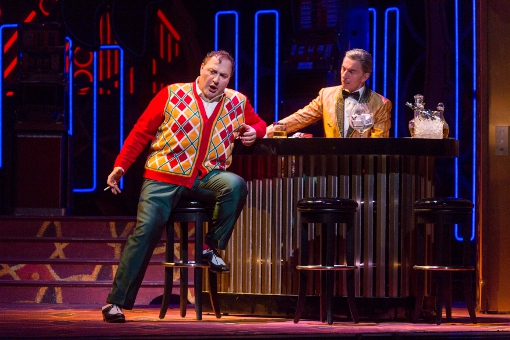 Verdi's tragedy of a hunchback laboring under a curse and the tyrannical rule of his philandering boss, presented here in the strange disguise of two entertainers working in a rug joint on the Las Vegas Strip. Here, the titular jester is an insult comic á la Don Rickles, and his boss is a lounge lizard singer in the mode of Frank Sinatra. The Met opens with a disastrous Samson et Dalila. A world of toil: Robert Alagna does hard time in Samson et Dalila. It wasn't just the temple that collapsed last night. 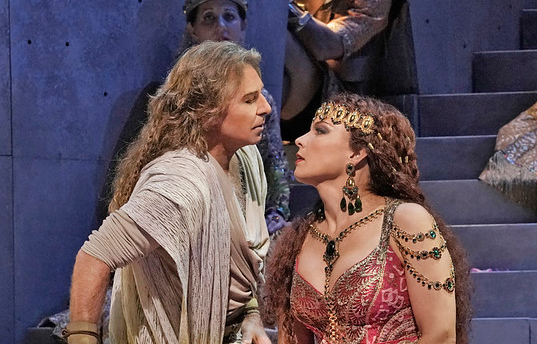 The big story coming out of Monday's season-opening performance of Camille-Saint-Saëns' Samson et Dalila at the Metropolitan Opera was the onstage vocal collapse of Roberto Alagna. The internationally reputed tenor, who has a quarter century of experience on the Met stage, was here saddled with the role of Samson. In the third act, shorn of his hair and blinded by Philistine thugs, the singer appeared to lose his vocal strength along with his muscles. He had very little voice for the opera's demanding final scenes. Lincoln Center bridges music, art, theater and spirit in its annual offering. 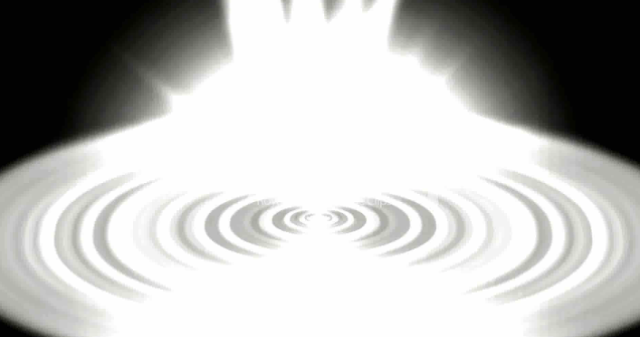 Image of white light hitting a compact disc. And where around Lincoln Center can we afford to get something to eat after the show? Two casts retell the story of the great seducer who gets his comeuppance. sing the title role in Don Giovanni this season. Photo © 2018 The Metropolitan Opera. Frolicking, fun, fire and fury. 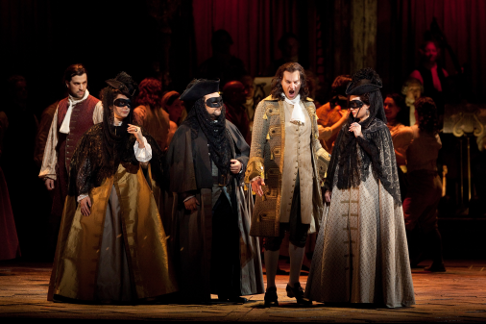 That's the world of Don Giovanni which returns to the Met for two runs of performances. It's a dull production but it's got really good singers. 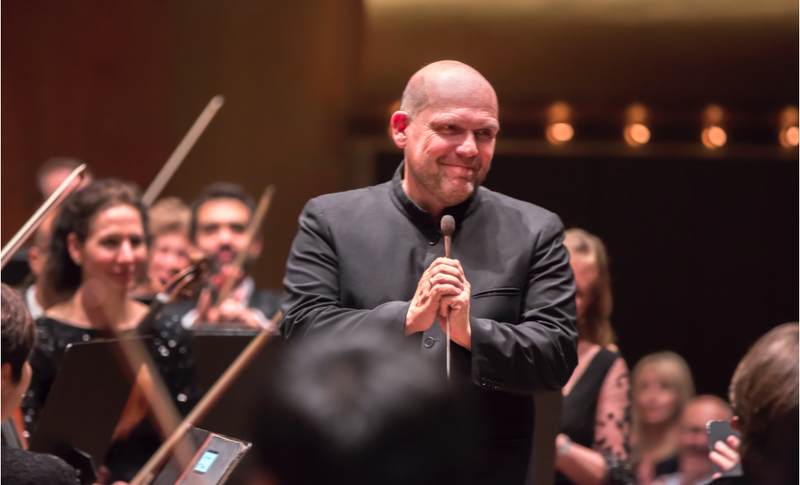 The Jaap van Zweden era begins at the New York Philharmonic. Jaap van Zweden emerges, Orpheus-like. Photo by Roger Neve © 2018 The New York Philharmonic. Opening night at the New York Philharmonic is a yearly tradition an occasion for fat cat donors to dine on the Promenade of Lincoln Center's David Geffen Hall, and for ordinary critics (like your humble scribe) to put on suits and hobnob with each other before the performance. This year's ceremonies, held Thursday night, were also notable as it marked the long-awaited official debut of Jaap van Zweden, the orchestra's new music director. The Met opens its 2018 season with Saint-Saëns' Old Testament thumper. Elina Garança wig out in the Met's new Samson et Dalila. The new season opens with Roberto Alagna and Elina Garança in the title roles of Samson et Dalila, the story of an implacable hero, an unstoppable anti-heroine and the most famous gravity-check in the Old Testament. Also, lots of really, really big hair! Looking back at a flawed but interesting 1988 La bohème. The catalogue of any large record company is filled with interesting failures: pricey boxed sets that get re-issued at a bargain price or in some cases quietly and suddenly dropped from the catalog, only to reappear in complete compilations of a composers or conductors works. 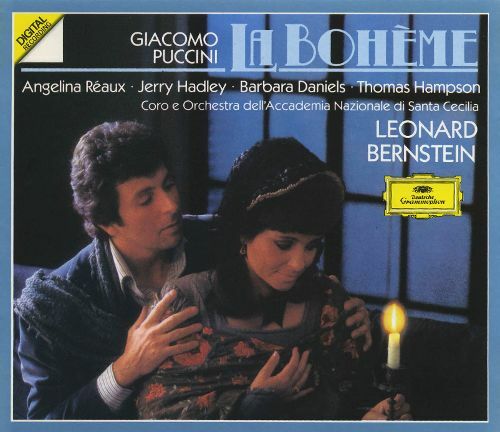 One of those rarities is the 1988 Deutsche Grammophon recording of La bohème, made in Rome with the Orchestra of the National Academy of St. Cecilia under the baton of Leonard Bernstein. The New York Philharmonic brings back 2001. Class in session: the man-apes and the Monolith in 2001: A Space Odyssey. Image © 1968 Warner Bros. Used for promotional purposes only. What is 2001: A Space Odyssey really about?. Stanley Kubrick's seminal 1968 classic is now 50 years old, and remains as puzzling as ever. On Friday night, as part of this year's The Art of the Score festival, the New York Philharmonic performed the complete orchestral and choral music of 2001 as accompaniment to a large scale screening of the film at Lincoln Center. The New York Philharmonic drinks our milkshake. 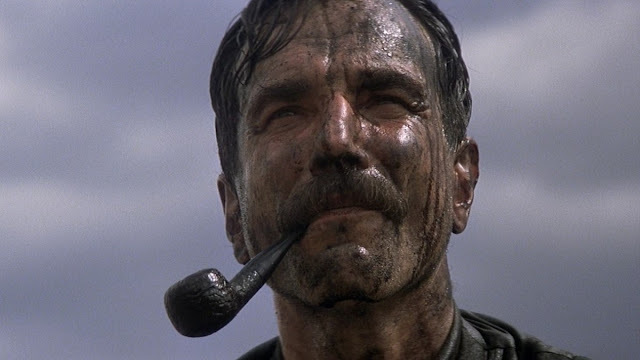 Pipe line: Daniel Day Lewis in There Will be Blood. Image © 2008 Ghoulardi Film Company, Paramount and Miramax. Ten years ago, Paul Thomas Anderson's There Will Be Blood rumbled, whistled and roared into movie theaters, anchored by a heaven-storming performance by Best Actor winner Daniel Day-Lewis and the American sense of guilt and horror that this nation's relentless march of progress has left in its very wide wake. On Wednesday night, the New York Philharmonic opened its annual Art of the Score Festival with the orchestra's first performance of the film's complete score, a polyglot creation anchored around the music of composer Jonny Greenwood. Conductor Hugh Brunt made his podium debut. The Symphony No. 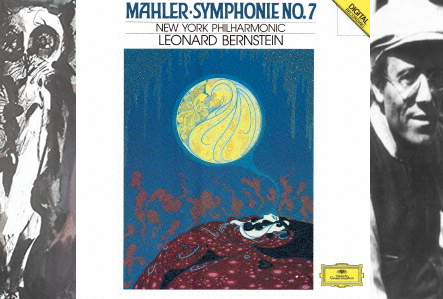 7 was the first installment in Leonard Bernstein's Mahler cycle. A nocturna; triptych: the cover art of the 1985 Mahler Seventh, the composer (right) and a feathered friend. It all started here. This recording of Mahler's Symphony No. 7, made Dec. 3, 1985 with the New York Philharmonic in the dry and less than legendary acoustics of (what was then called) Avery Fisher Hall, was the first of Leonard Bernstein's final cycle of Mahler symphonies for Deutsche Grammophon, a series that the great conductor and composer would work on for the rest of his life. And it's a winner. British orchestras and chamber music are the focus of Great Performers. 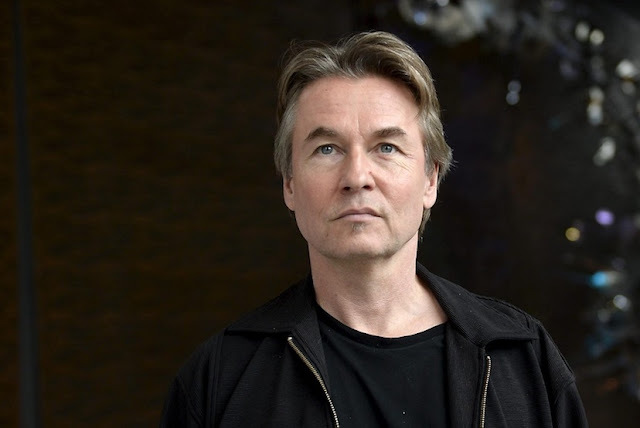 Esa-Pekka Salonen returns to New York next year to conduct the Philharmonia Orchestra. When Lincoln Center was established as New York's mecca for the performing arts, it became home to the Metropolitan Opera, the New York Philharmonic and the New York City Ballet. However, it soon became apparent that there was need for an in-house performing arts series, inviting international orchestras and soloists from around the globe. The Great Performers series is no longer the flagship it once was, but it still provides the opportunity to hear international orchestras in a posh setting. Jaap van Zweden and Deborah Borda take the reins at the Philharmonic. 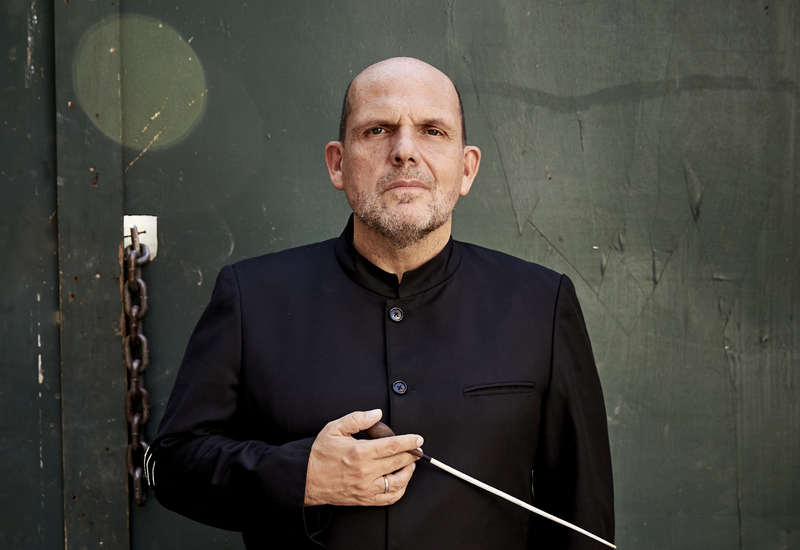 Welcome to the jungle: Jaap van Zweden takes over at the Philharmonic. The New York Philharmonic's upcoming season features a diverse slate that sees americas oldest orchestra dispensing with a few less popular initiatives while opening a few that will hopefully fill seats, and accelerating the orchestra’s transition from the Alan Gilbert era to the stewardship of its new music director, Jaap van Zweden.